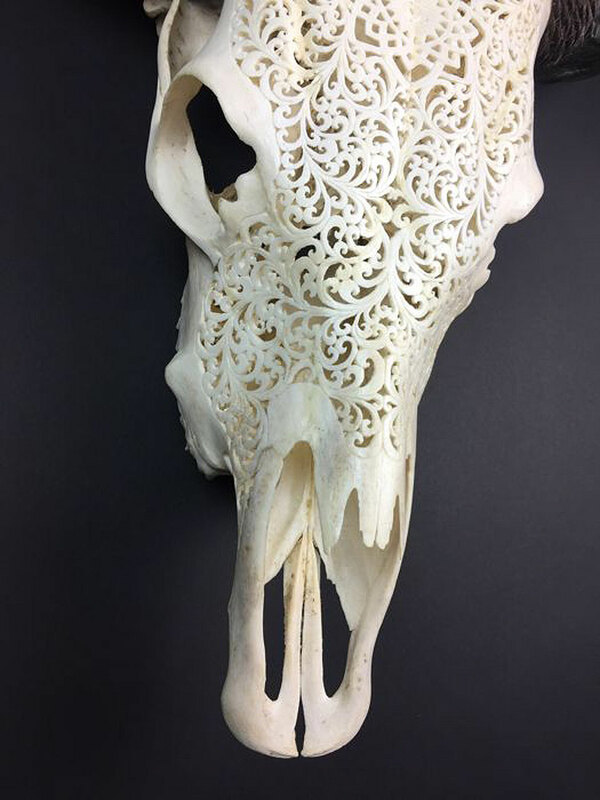 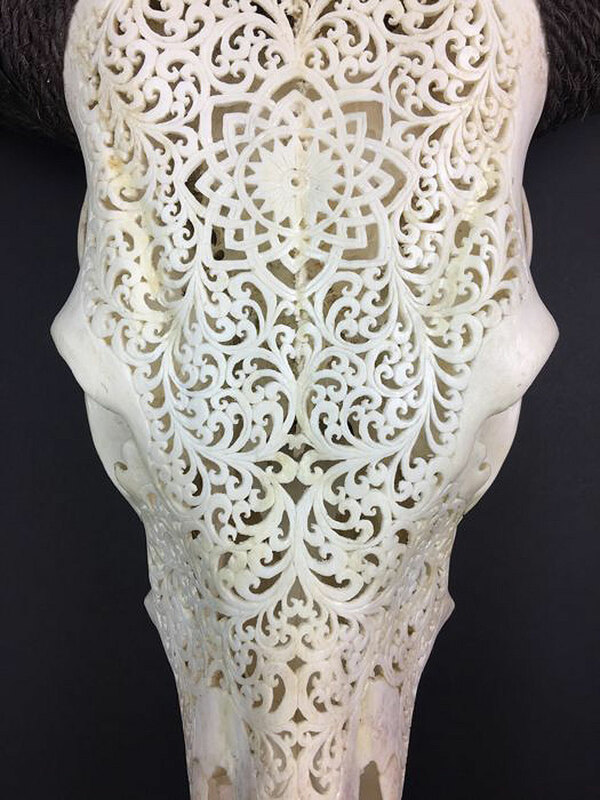 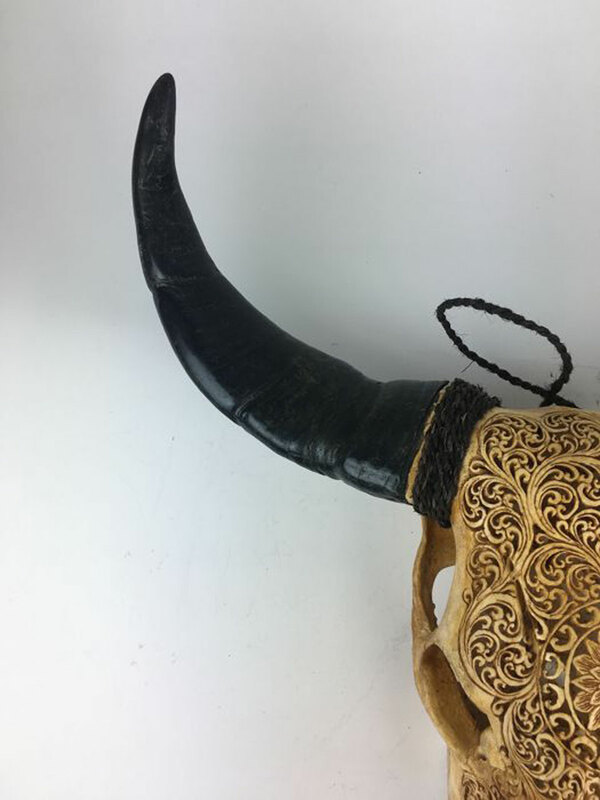 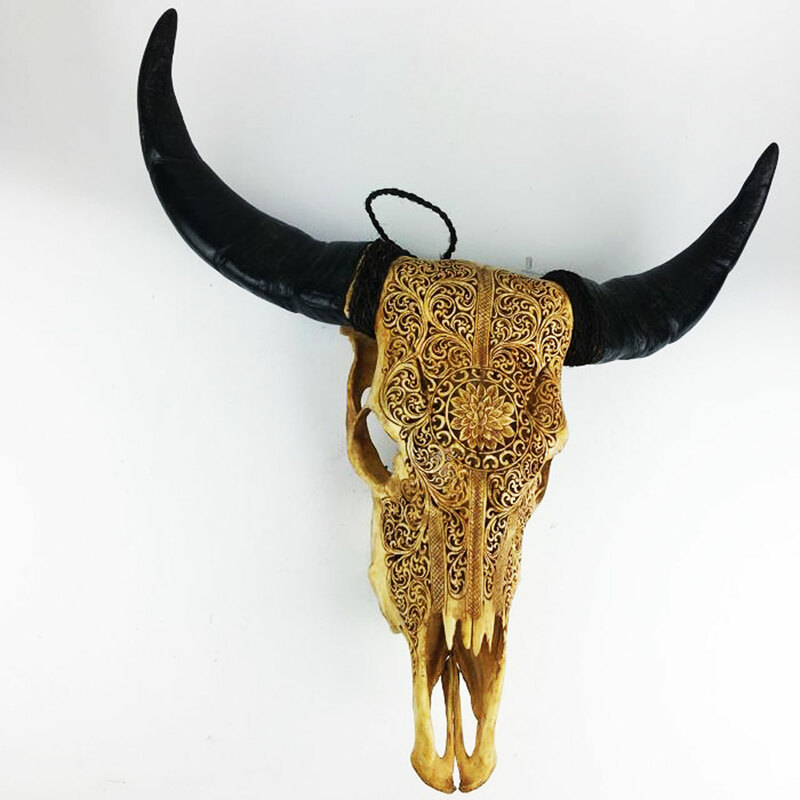 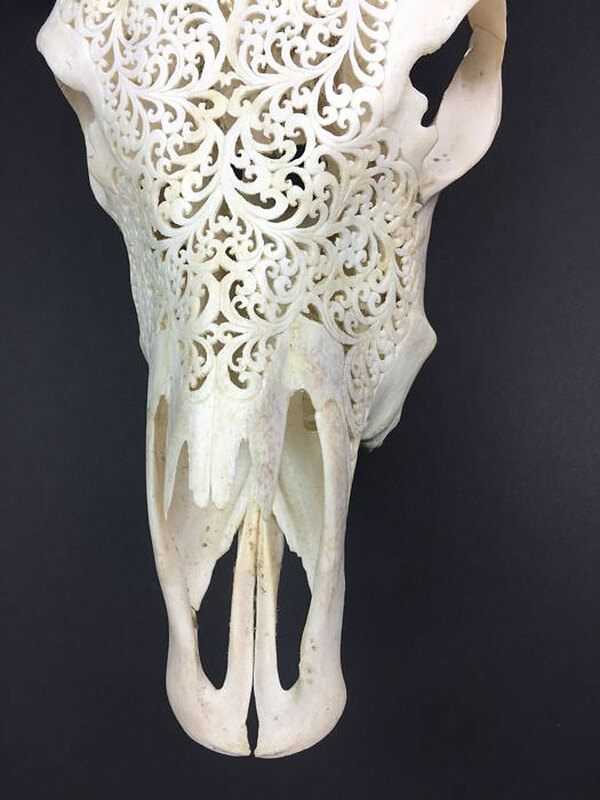 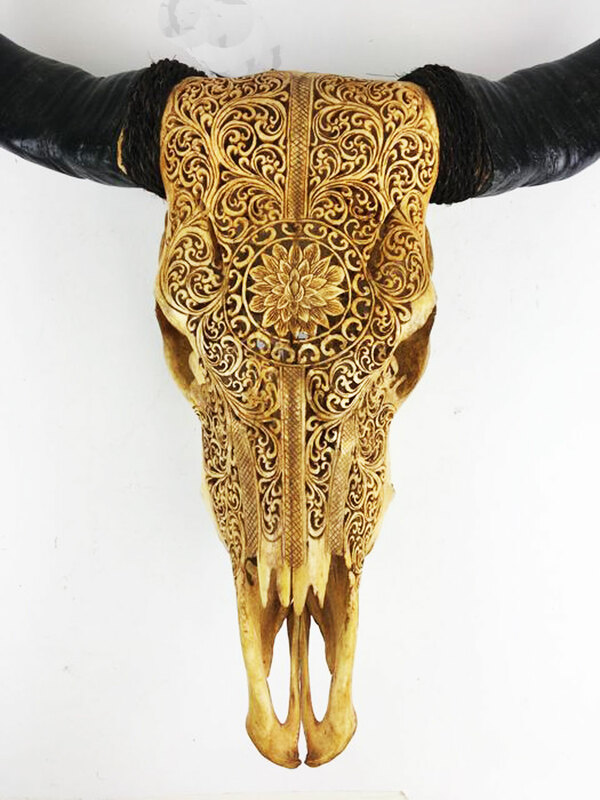 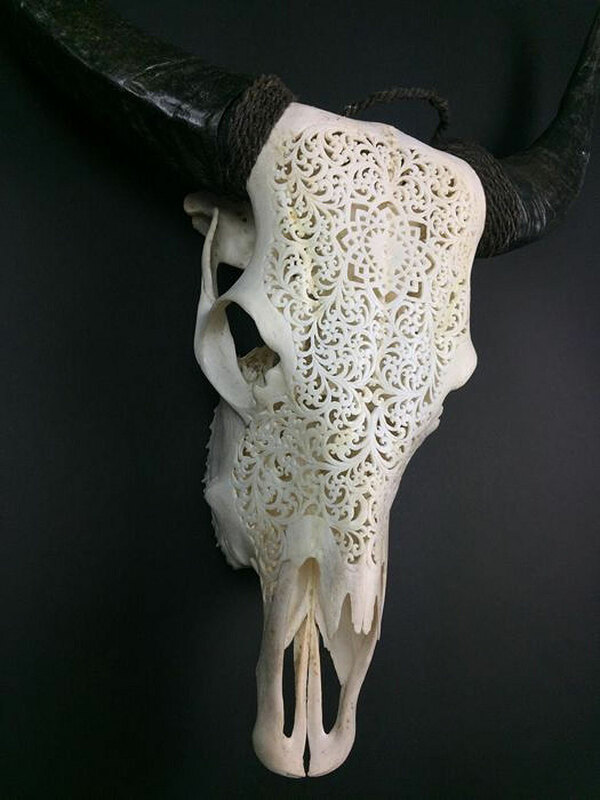 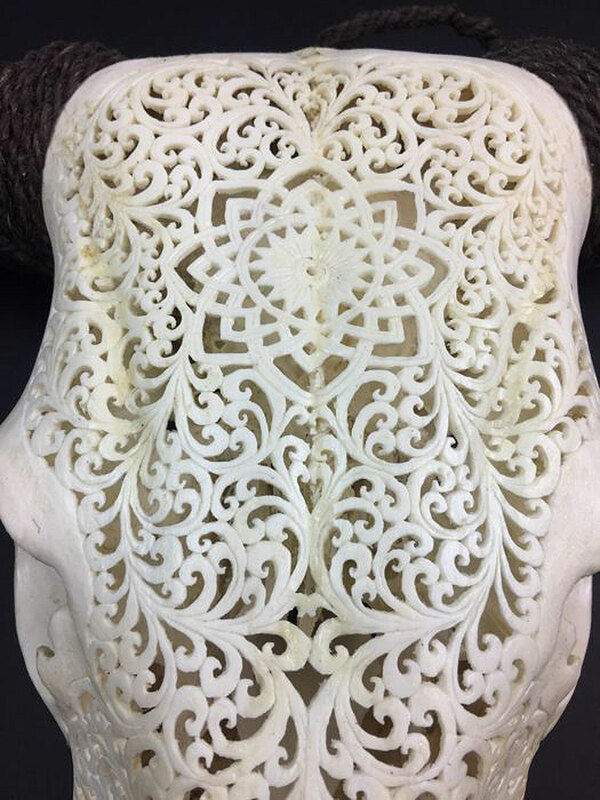 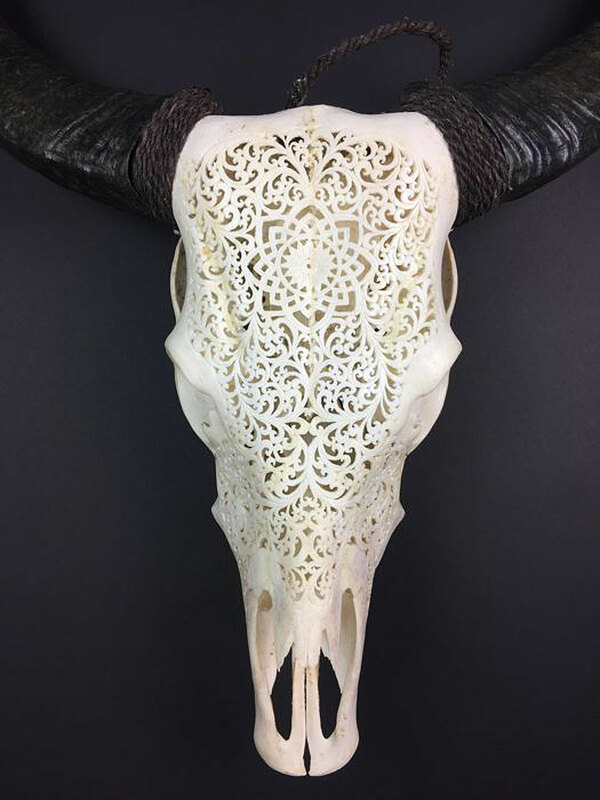 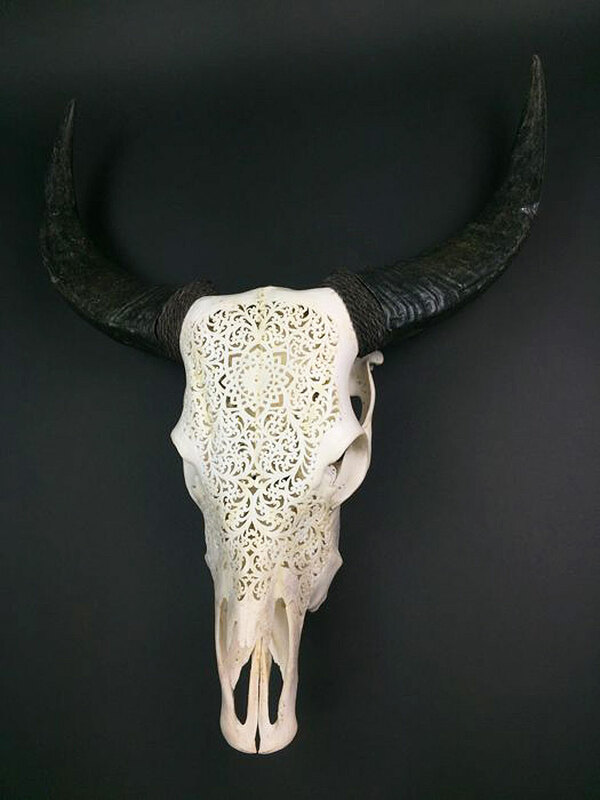 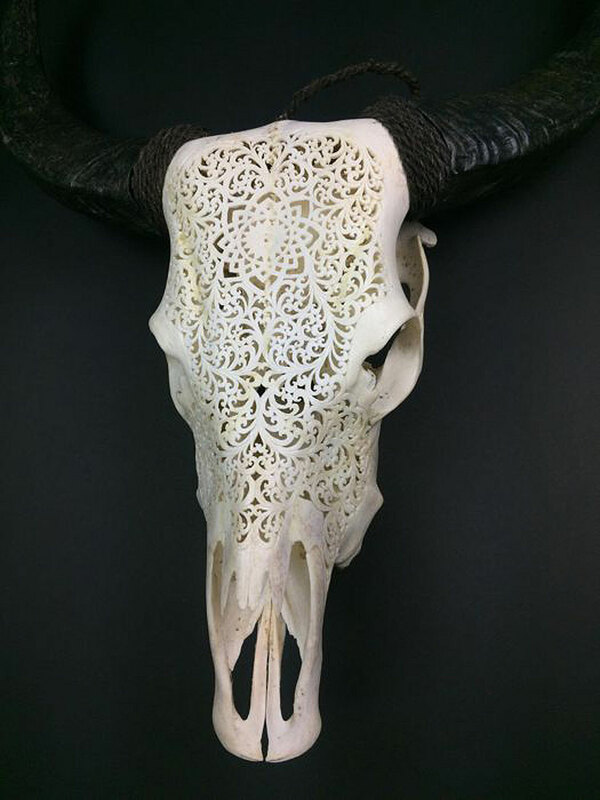 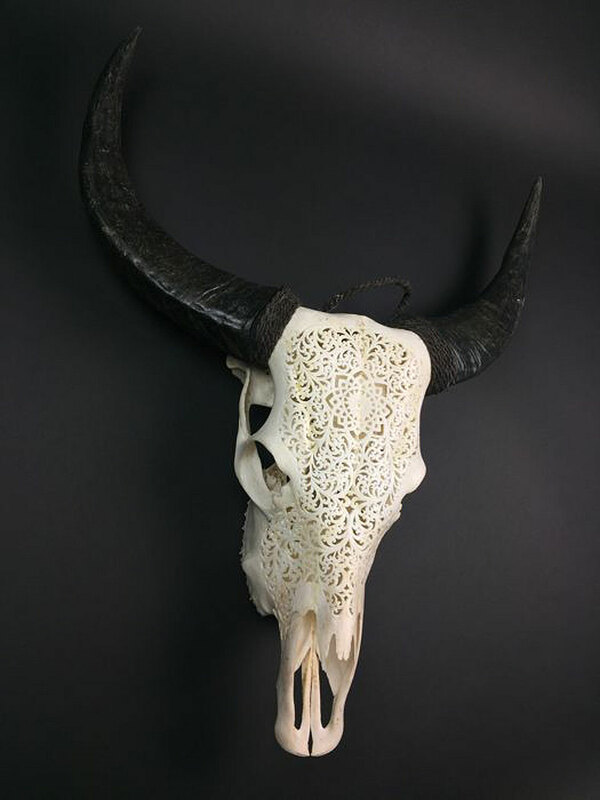 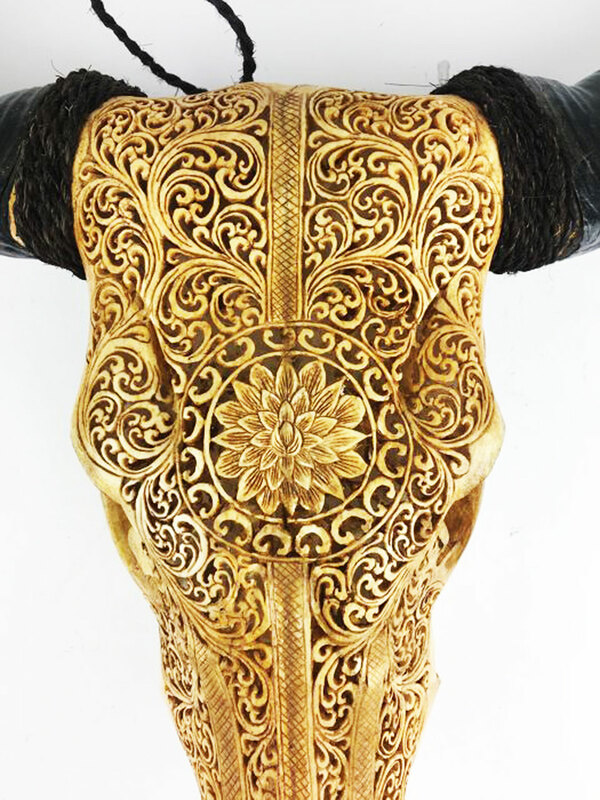 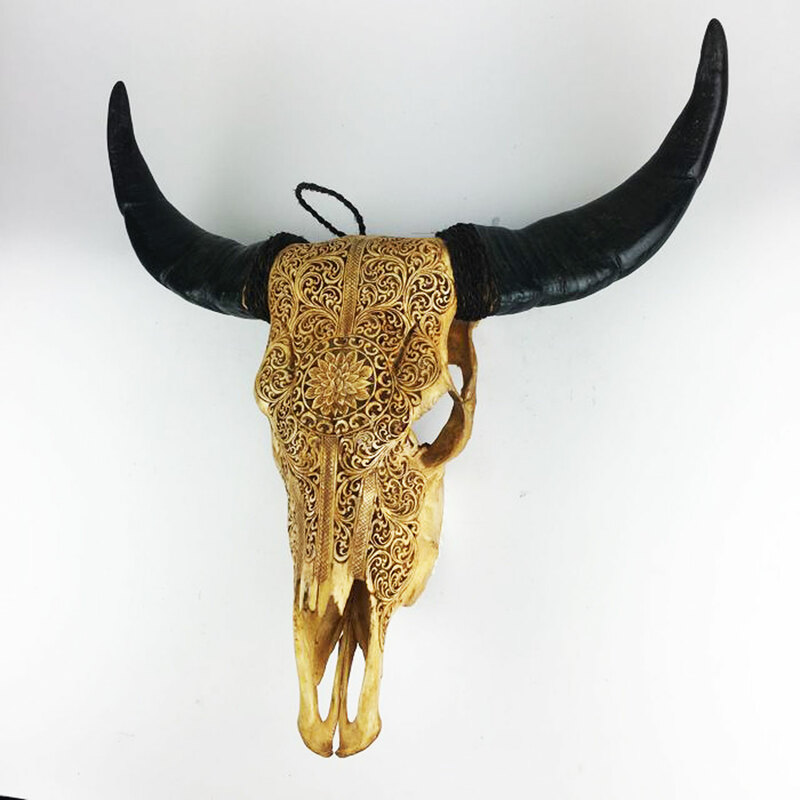 This carved skull is a stunning home décor object that enlivens any home or restaurant. 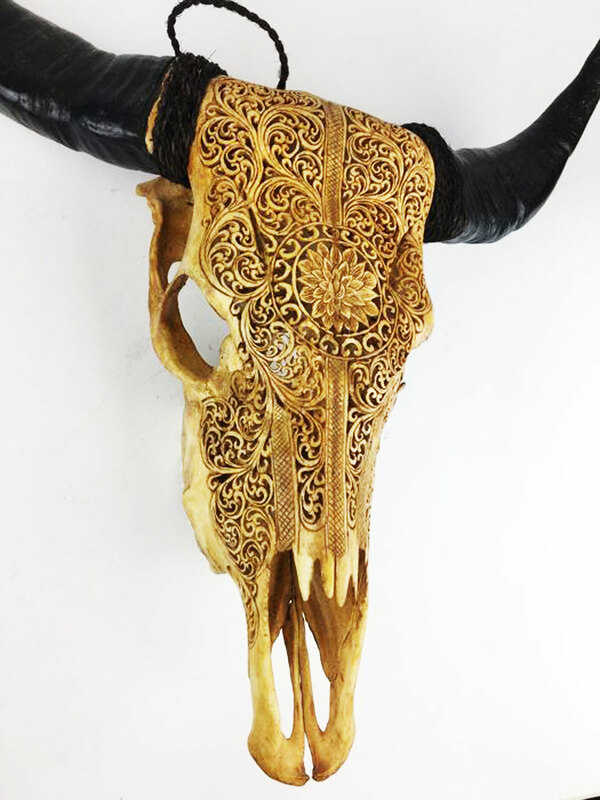 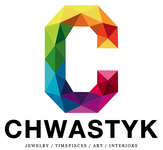 More than just a spiritual and cultural piece of art. Dimensions: Length 70cm Width 56cm. 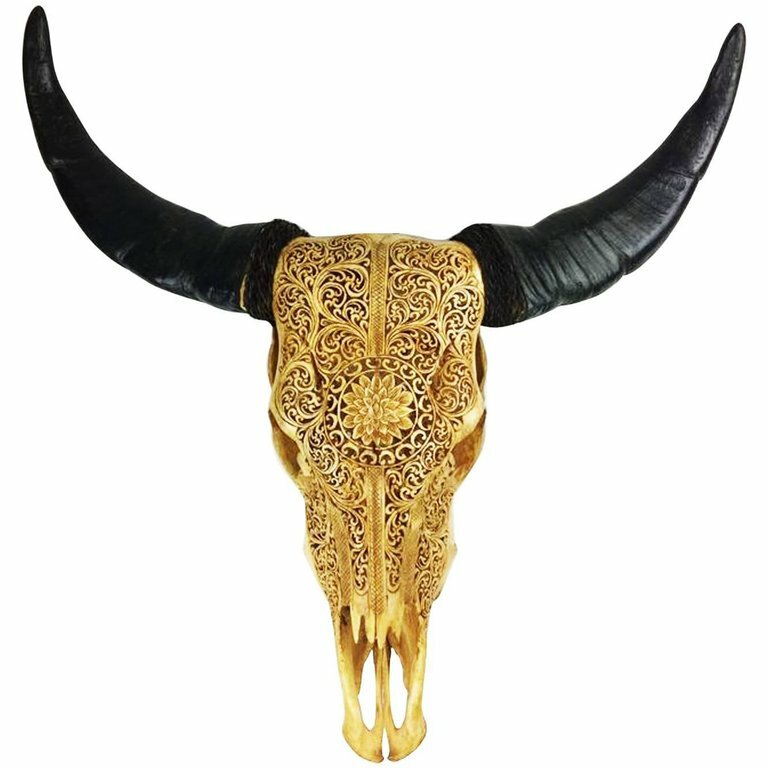 This carved skull is a stunning home décor object that enlivens any home or restaurant. 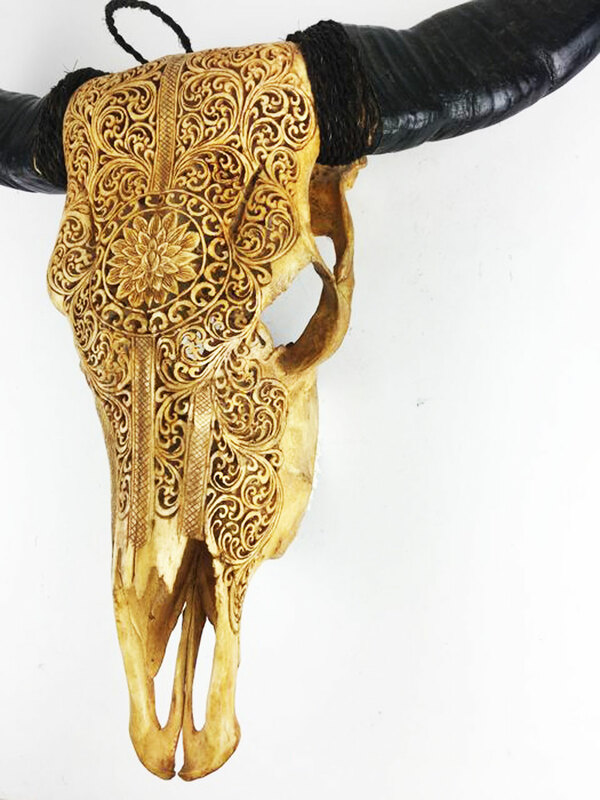 More than just a spiritual and cultural piece of art. 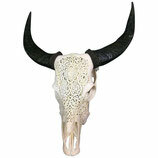 Dimensions: Length 61cm Width 56cm.